In Australia summer is synonymous with one thing… swimming! So this summer, ensure that you are fully equipped to take on the heat, and arm yourself with the appropriate aquatic tools. 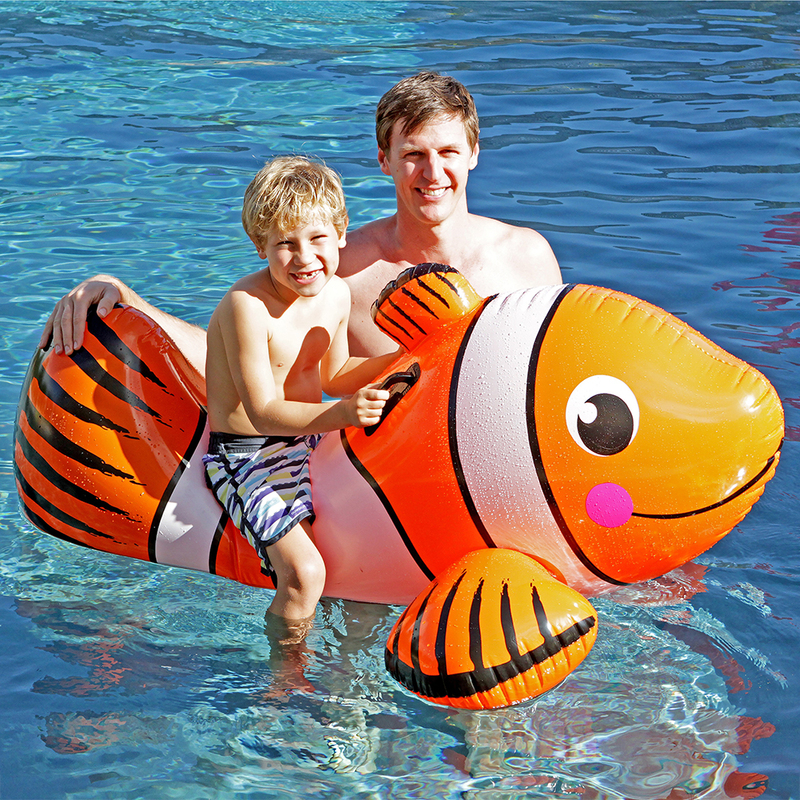 Made from durable plastic, this Inflatable Clownfish is the ideal swimming accessory. Its large size makes it suitable for children to ride, and the easy-hold handles, attached to both sides of its body, ensure that you can hang on tight if a storm begins to brew on the high seas. The Inflatable Clownfish is the Nemo to your Dory. Includes durable handles so you can hang on tight. Pinch air valve to open and inflate the toy. Presented in a handy box. Inflated Dimensions: 154cm (w) x 97cm (h) x 74cm (d).